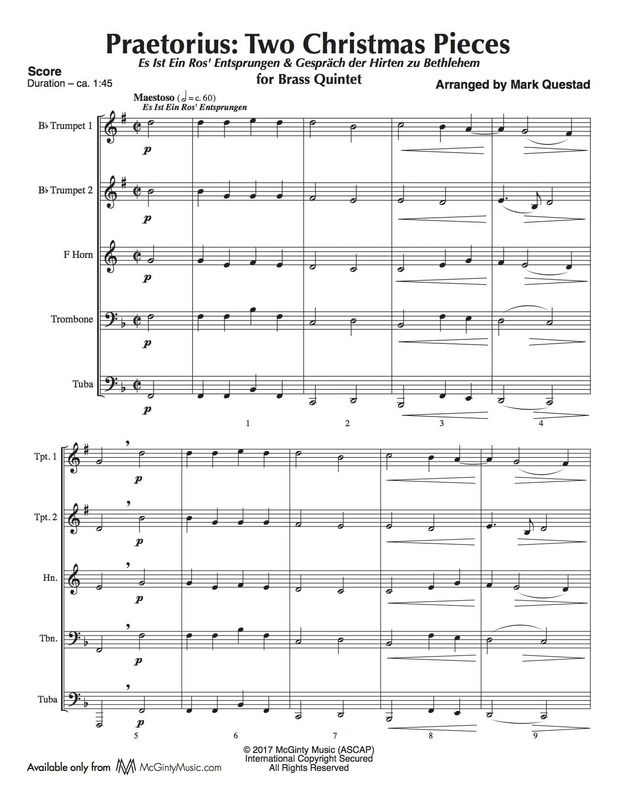 Praetorius: Two Christmas Pieces – Brass Quintet | McGinty Music, LLC. Es Ist Ein Ros’ Entsprungen and Gespräch der Hirten zu Bethlehem (Colloquy of the Shepherds) are two pieces by Michael Praetorius, one well known and the other, less so. The original test of Gespräch, a retelling of Luke 2:15, juxtaposes the earthly and the divine using both German and Latin. This instrumental version for quartet or quintet (doubling the bass at the octave) evokes the sound of a Gabrieli Canzona.